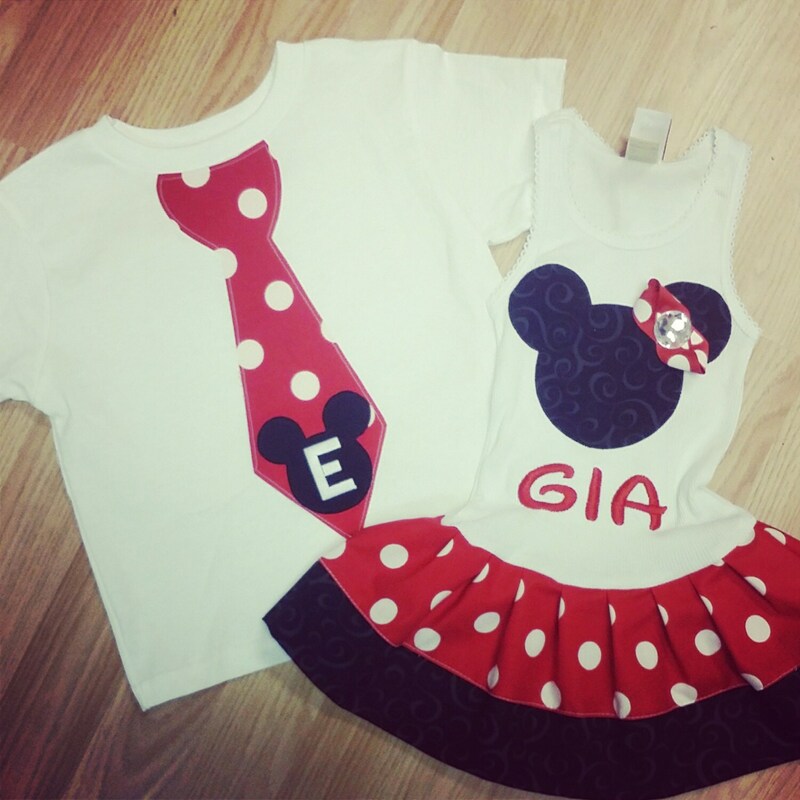 White, Minnie Mouse Dress, Mickey Mouse Tie Shirt, Sibling Set. Personalized. Embroidery available as a add on. Please make your choice at checkout. My boys tie shirts are appliqued to the shirt, then top stitched for a finished look. Boys Tshirts run small. I suggest ordering up a full size. Tank dresses start at 6mo through 12/14. These were perfect for our trip to Disney. The shirt and dress were each adorable on their own, and even cuter as a set! The shirt and dress came out great and was delivered on time!! Adorable dress and shirt! The quality is amazing and I highly recommend! Thank you so much, we can't wait to wear these outfits to Disney World! !